To maximize the space in a small bedroom, one of the things that you might want to do is to use a bunk bed. The vertical design allows it to use a small space while being able to accommodate more. A standard design can accommodate two people, but depending on the design and size, it can sleep more. Plus, it can also function more than just a bed. 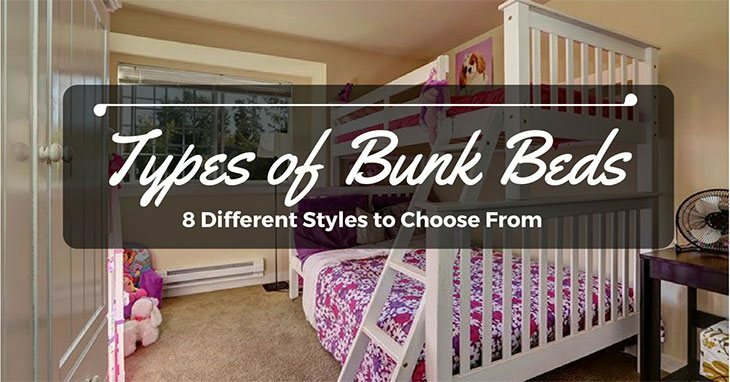 In the rest of this post, we will have a quick look at the different types of bunk beds. From design to function, they can be different in more ways than one. Be familiar with each type, and in the end, it will be easier for you to decide which one is best for your needs, budget, and personal preferences. This is perhaps the most popular of all the types that we will mention in this post. There are two bunks in this bed. One at the bottom and one at the top. There are some with triple bunks, although they are not as common as those with two bunks. 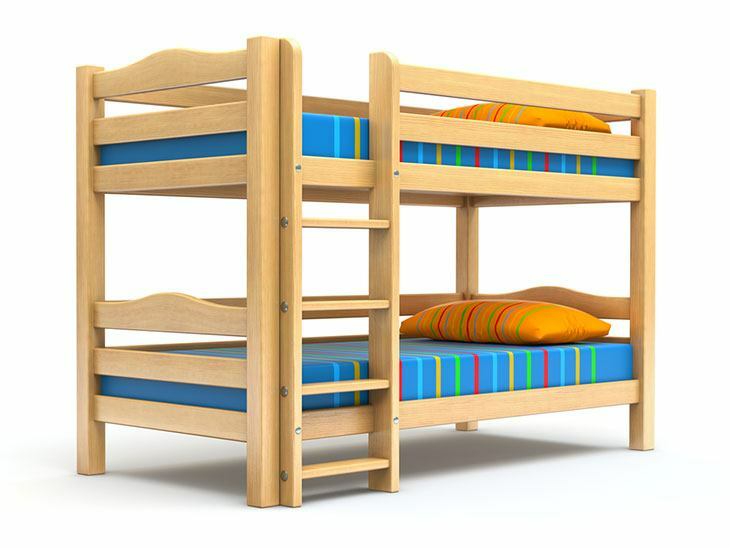 There are two common materials that are used for the standard bunk bed. The more popular option is wood or timber, which is known for its aesthetics and durability. Metal, on the other hand, is usually more spacious and allows more air because it is thinner while also providing the support that is needed by the bed and its users. Contrary to the standard bunk bed, one of the defining characteristics of this bed is that only one bunk is dedicated for natural sleeping, which is usually the one at the top. There is sufficient height clearance at the bottom, which will provide the user with the space to move. 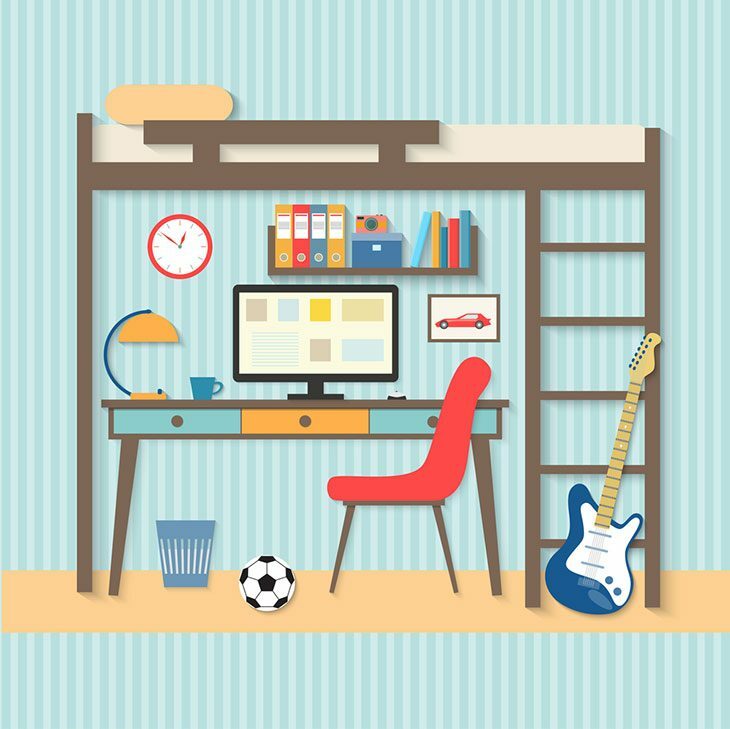 In a loft bunk bed, the bottom can be utilized as a space for play, storage, or study, among others. One portion of the bed can also double as a cabinet. It is a flexible choice as you can basically use the free space for whatever you want. Futon beds have been popular for a long time now for many rooms or houses that are space-challenged. The same design element has now been incorporated in bunk beds. The top bunk functions as a standard bed while the bottom is a convertible space. One of the best things about futon bunk bed is the fact that it is versatile. The bottom can be used not only as a bed but also as a sofa. By doing this, there is no more need to have an additional chair in the bedroom when you are watching TV, writing, or studying, among others. 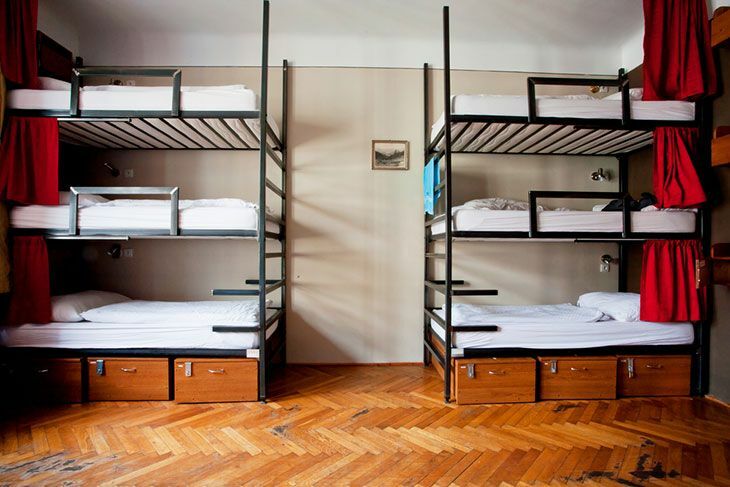 This is even more space-efficient that most of the types of bunk beds because it can sleep up to three people. In this case, there is a twin bed that is mounted over a bigger bed, which is at the bottom. This kind of setup is the perfect choice if there are two small kids in one room sharing it with a teen. The bigger space at the bottom pull-out bed will be large enough for the teen. If you are thinking of the perfect way to add a study area in the room of your child, this will be a good idea. Space will never be an issue because of the vertical area that will be required. In this case, the top bunk will be used for sleeping and the bottom bunk will be a dedicated space for study. 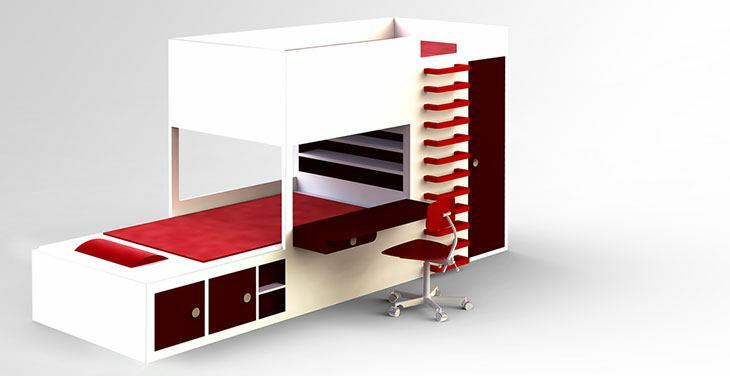 You can have a built-in study desk or workspace at the bottom bunk. Aside from a desk, you can also add racks or shelves, which can keep books and will help to be more organized in the bedroom. Although this is not as space-efficient as the other types of the bunk beds that have been mentioned earlier, it can still prove to be a great addition for a small bedroom. In this configuration, the bottom bed will be at the right angle of the bed at the top. The good thing about this design is that there will be an extra space in the bottom bunk. You can use it for creating a built-in cabinet or shelves. If you want a bed that can sleep more people, this is one of the best types that you might want to consider. Consequently, this can also consume more space. This is different from a bunk bed with pull-out, although both designs can sleep up to three people. Under this configuration, there is one bed at the bottom and there are two beds at the top. It has an L-shape, and hence, there is a space at the bottom with a high clearance. This is perhaps the most playful type from all the types of bunk beds that you could think of. This is a great idea for the room of kids. You can have freedom to design the bed based on its intended function. One of the best ways to create a novelty bunk bed is to add a slide from the top of the bottom bunk. This can make an excellent alternative to stairs when going down the bed. You can also design it to look as if it is a tree house or a bed that has been taken straight out of a whimsical fairytale. With the different types of bunk beds that have been discussed above, it is apparent that there is one that can be perfect for every individual. Whether you want one that can be used exclusively for sleeping or a bed that can double as a study, there is a design that is appropriate for your preferences. Did you enjoy reading this post? Is there any type that you would like to add? Do not hesitate to write a comment below.